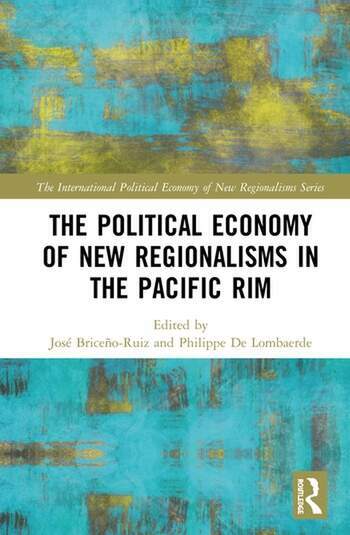 Combining an analysis of regionalism from a systemic view with a domestic political-economy analysis, this book sheds light on the new dynamics and emerging configurations of regionalisms and interregionalisms in the post-Trans-Pacific Partnership (TPP). Donald Trump’s presidency has transformed trans-Pacific economic and political relations, contrasting sharply with President Obama’s ‘pivot to Asia’ strategy. Unilateralism and bilateralism have returned to the center stage, at the cost of regionalism, interregionalism, and multilateralism. Understanding these new dynamics requires closer examination of the underlying domestic political economies. Examining ten country case studies of multi-actor agency at the national level, expert contributors argue that trans-Pacific relations should not only be explained in terms of the behavior of the major powers, but that medium powers, and even small countries, can exert influence and occupy strategic nodes and contribute to shaping a new international relations network. Their findings will be of interest to scholars of international relations, international political economy, regionalism, and international economics. José Briceño-Ruiz is Research Professor at the Centro de Investigaciones para América Latina y el Caribe (CIALC), Universidad Nacional Autónoma de México (UNAM) (Mexico). Philippe De Lombaerde is Associate Professorat the NEOMA Business School, Rouen (France), and Associate Senior Research Fellow, UNU-CRIS, Bruges (Belgium).